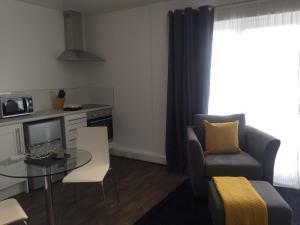 The apartment is on the another side of city centre but only short minutes walk. Very convenient to get into city centre, bus station and the Quay. The apartment is very lovely, cosy, as it shows on the website. The room and bathroom is clean and tidy. The oven and stove didn’t work because they didn’t turn the switch on and the switch is hidden in one of the cupboards which I couldn’t find. The heater didn’t work also because they turned the control centre off. The internet didn’t work well either. So I reported this on the day I arrived, Sunday, and the staff came over 25 mins later to get everything fixed. On the 2nd day, the internet didn’t work again and they came to fix straight away and actually getting a new one. I am very impressed with the service and their support! Highly recommend this place! You won’t be disappointed. Location is good, room is big and clean, kitchen and bathroom are nice equipped with good size and clean. Very easy to collect keys. The WiFi wasn’t working but the host went above and beyond to sort it. I was very impressed by this property. A couple of small suggestions - not criticisms - just a couple of ways to improve the experience. I arrived after dark, so a small light by the key safe would have been very helpful. Also a small side table for my coffee by the armchair would have been very helpful. It was very spacious and comfortable. The location was very central with parking a short walk away. Keys were in a safe lock box which was easy to access. Comfortable bed. Extremely clean. Great location. Would highly recommend these apartments, the service was brilliant and the accommodation is extremely comfortable and convenient. 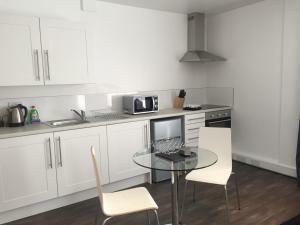 Lock in a great price for SITU Serviced Apartments - Charlotte Mews - rated 8.8 by recent guests. SITU Serviced Apartments - Charlotte Mews offers accommodation in Exeter, 2.6 miles from Sandy Park Rugby Stadium. This property is 200 yards from Exeter Chamber of Commerce and Industry. This studio apartment comes with a kitchenette, a seating area, and a flat-screen TV. Exeter Cathedral is a 4-minute walk from the apartment, while Royal Devon and Exeter Hospital is a 16-minute walk from the property. Exeter International Airport is 5 miles away. This is our guests' favourite part of Exeter, according to independent reviews. 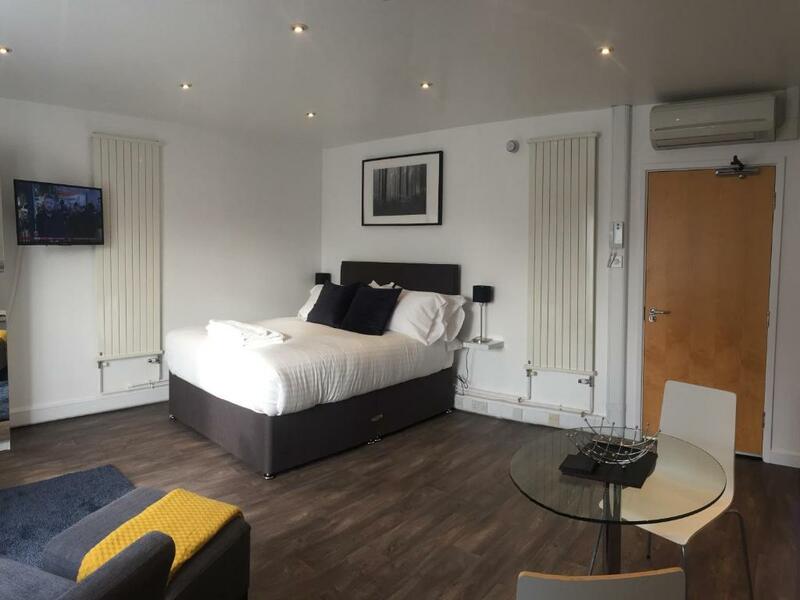 SITU Serviced Apartments - Charlotte Mews has been welcoming Booking.com guests since 5 Feb 2018. 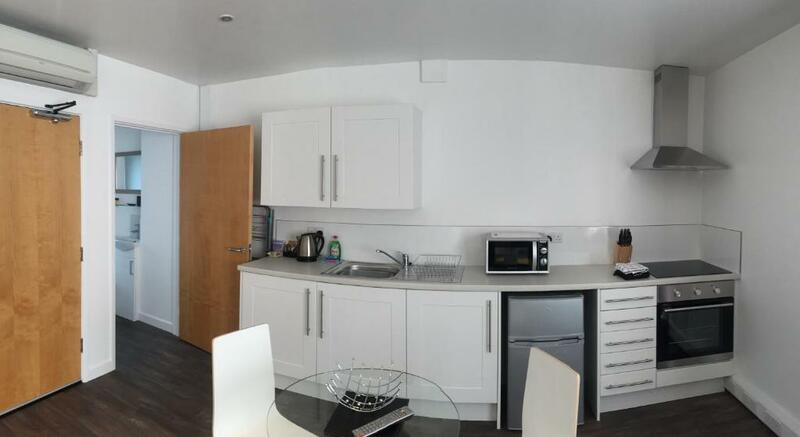 When would you like to stay at SITU Serviced Apartments - Charlotte Mews? This studio apartment has a toaster, washing machine and seating area. Situated off a small courtyard, Charlotte Mews is a 3 storey building (no lift), a fully furnished studio apartment equipped with all the essentials. SITU are an award winning serviced apartment agency based in the beautiful city of Exeter in the South West UK. 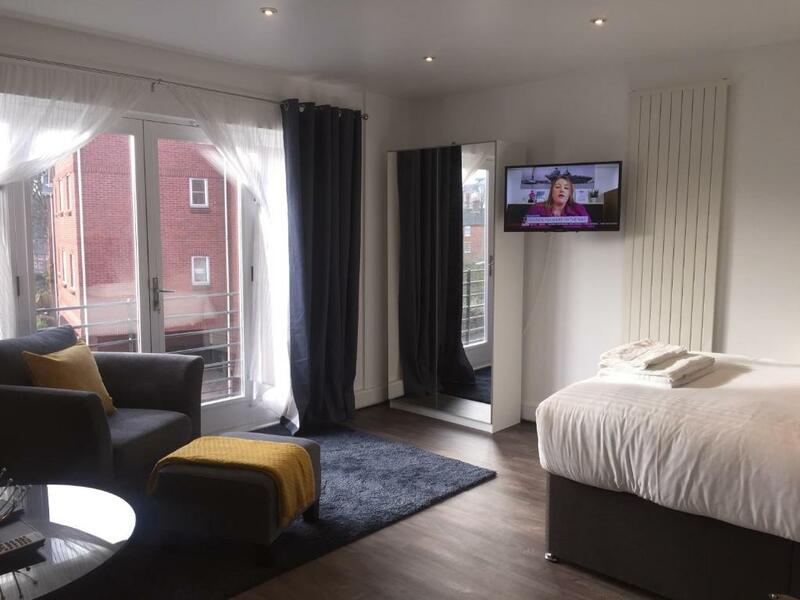 Charlotte Mews is based within a stones throw of Exeter's Historic City Centre, situated on the fringes of Southernhay, a short walk into the town centre where you have Exeter Cathedral, Princesshay shopping centre and an array of eateries to suit all tastes. House rules SITU Serviced Apartments - Charlotte Mews takes special requests - add in the next step! SITU Serviced Apartments - Charlotte Mews accepts these cards and reserves the right to temporarily hold an amount prior to arrival. Please inform SITU Serviced Apartments - Charlotte Mews in advance of your expected arrival time. You can use the Special Requests box when booking, or contact the property directly with the contact details provided in your confirmation. I got 2nd floor room which is lovely only that they don’t have lifts so it’s a bit difficult as I have big and heavy luggages. Better provide enough showing gel, shampoo and toilets paper etc. if costumers stay more than 2 nights. There was nothing negative about my stay here. Excellent facilities; locaton and price. The key safe was already unlocked on arrival, we felt that anyone could have been in there. There was a very unpleasant smell coming from under the sink. Not very much toilet roll left for the stay, we had to buy extra. No information provided on anything including WiFi code. More towels would have been preferable. Some people might not like the traffic noise if they are light sleepers!